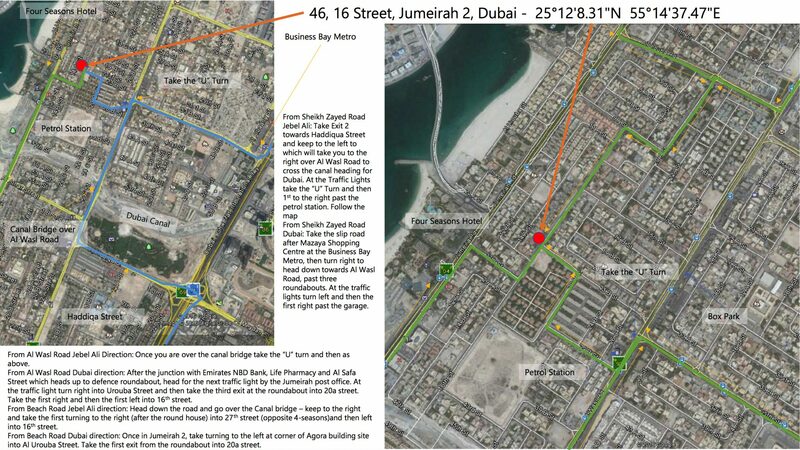 Easiest way is to get yourself onto the Beach Road (Jumeirah Road) somehow and then follow directions below depending on which direction you’re heading towards. For other routes from SZR or Al Wasl, see pictures at the bottom. 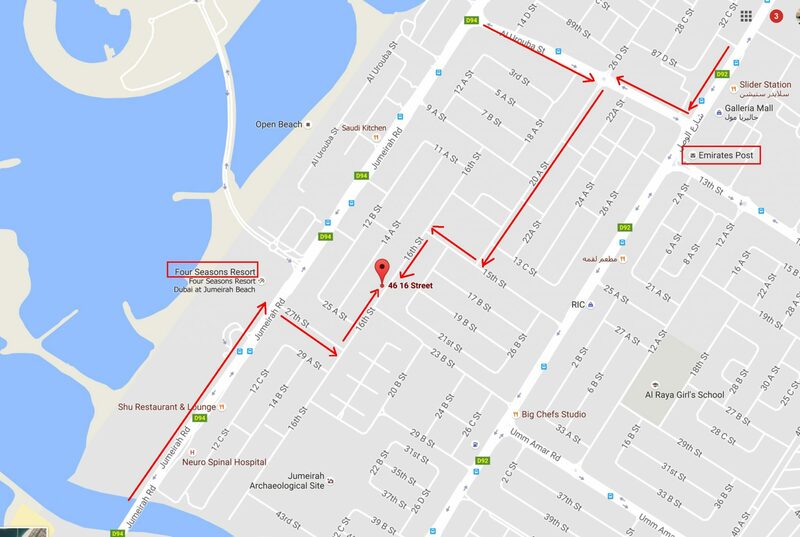 On Beach Road, before Canal, heading in Dubai direction: Go over the Canal bridge – keep to the right and take the first turning to the right (after the round house) into 27thstreet (opposite the Four Seasons hotel) and then 1st left into 16th street. We are a couple hundred yards on your left, Villa number 46. 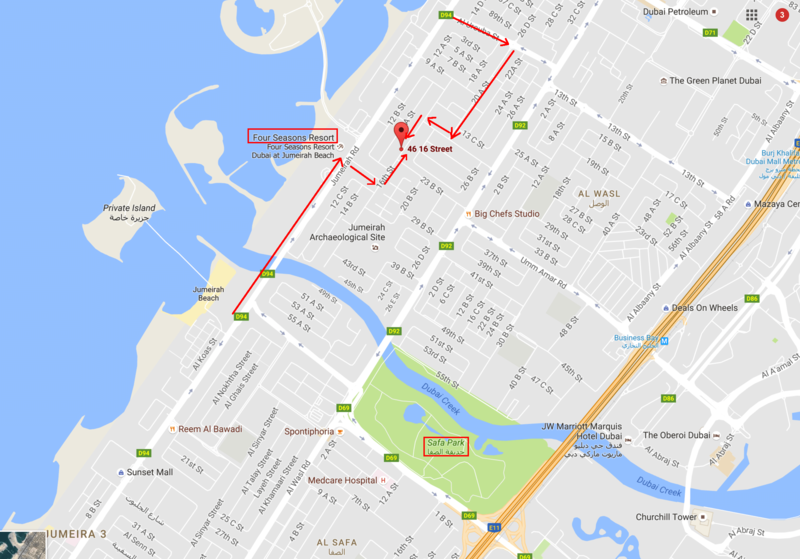 On Beach Road, before Canal, heading Abu Dhabi direction: Go past Mercato Mall on your left, once in Jumeirah 2 area, take turning to the left at the corner of the “Agora” building site into Al Urouba Street. Take the first exit from the roundabout (right) into 20a street. Go down to the end of the road and turn right at the T-junction onto 15th Street. Go down to the end and take a left at the T-junction onto 16th Street. Villa is a few hundred yards down on your right, Villa number 46.